BMW has previewed the bold styling of a luxurious four-door 8 Series set to sit at the top of its line-up from the latter half of 2019. 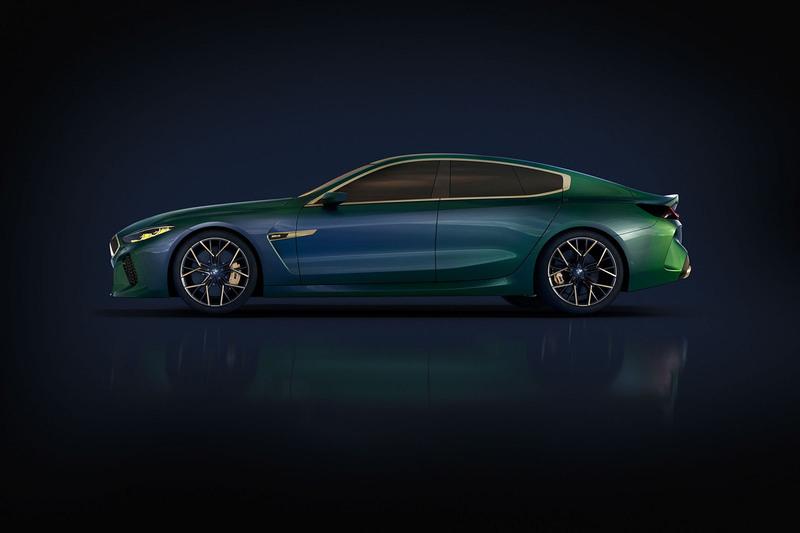 The Concept M8 Gran Coupe, unveiled at the Geneva motor show, is planned to join both two-door coupé and convertible models in a three-model strong 8 Series line-up. The upcoming production version of the Concept M8 Gran Coupe aims to elevate BMW into the same exclusive market segment occupied by the likes of Aston Martin with the DB11, Bentley with the Continental GT and Mercedes-AMG with its new GT four-door Coupe. BMW’s decision to resurrect the 8 Series comes after an announcement by chairman Harald Krüger to position the brand further upmarket, giving it a more luxurious slant than its current premium positioning. The arrival of the Concept M8 Gran Coupe follows the unveiling of the Concept 8 Series Coupe at last year’s Villa D’Este concours d’elegance in Como, Italy, as well as the unleashing of an M8 Coupe prototype during a promotional event at the 2017 Nürburgring 24-hour endurance race in Germany. Together with the yet-to-be-revealed concept of the 8 Series Cabriolet, the production versions of the three new 8 Series models are planned to be sold with a range of petrol engines, including a base turbocharged 3.0-litre six-cylinder as well as standard and M division derivatives of the German car maker’s turbocharged 4.4-litre V8. At the very top of the range, there will be a twin-turbocharged 6.6-litre V12 unit, which already resides in the plush M760i xDrive. Setting the scene for the arrival of the successor to today’s 6 Series Gran Coupe, the Concept M8 Gran Coupe previews the dramatic look the future four-door range-topping BMW model will take into UK showrooms late next year. Although billed as a concept, BMW officials have revealed to Autocar that the new car is closer to production readiness than the earlier Concept 8 Series. It receives a bold looking front end featuring a prominent front bumper assembly with a trio of sizeable air ducts, a new interpretation of BMW’s traditional kidney grille that is joined in the middle and features upturned outer edges similar in treatment to the recently introduced X2, angular headlights with distinctive LED graphics and a long, flowing bonnet. 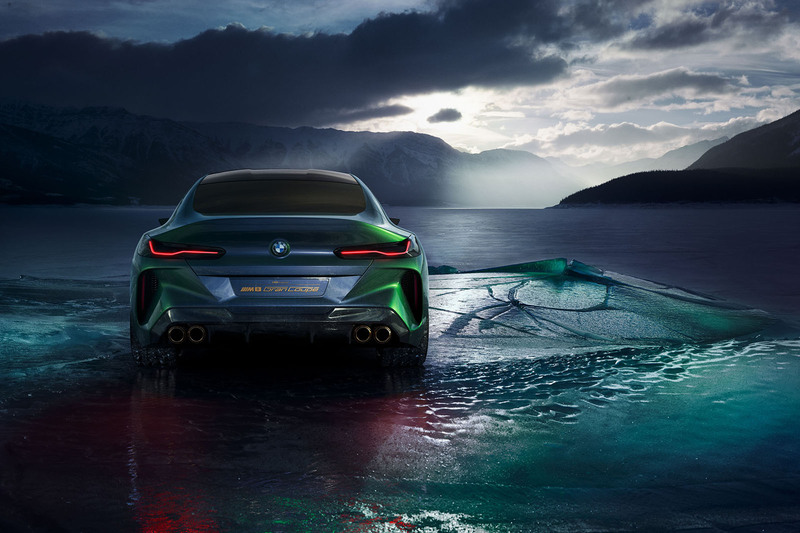 Further back, the Concept M8 Gran Coupe adopts the same detailing and surfacing treatment unveiled on its two-door concept car sibling with the so-called air breather positioned behind the front wheel houses, a deep undercut to the lower part of the doors and a prominent sill treatment. The cabin of the new BMW is set well back within the wheelbase and receives a heavily rounded roofline and a fixed B-pillar as part of a shallow six-window glasshouse that tapers back towards the rear. The heavily concaved doors are frameless, with rear doors extending generously over the rear wheel houses for ease of entry into the back. 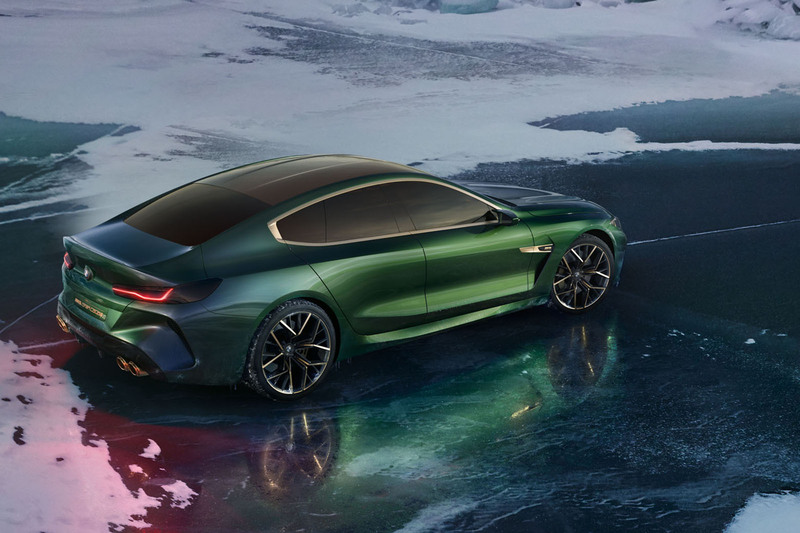 At the rear, the Concept M8 Gran Coupe has a flowing C-pillar, heavily sloping rear screen and high-set boot deck that will feature on the production version of the 8 Series Gran Coupe. Also included is an aggressive looking bumper and quad exhaust pipe treatment that is planned to be adopted by the performance-oriented M8 version of the new four-door luxury model. BMW and Mercedes both seem to be adopting a similar, downward-drooping grille shape (though the detailing is very different of course). Not quite the glum face of some Minis but less attractive than previous versions. Audi's seem crisp by comparison though excessively large. At some point soon, grilles will take over the entire frontal aspect of models and we'll be back to a 60s/70s integrated look. 4 door S Class coupe to follow? I wonder how long it'll take for a 4 door S Class coupe to appear if the 8 Series Gran Coupe makes production. I'm still surprised Audi hasn't done a A9 yet though to compete with either S Class Coupe or forthcoming 8 Series. I like the look of this but with those wheels does it not resemble a Vauxhall Insignia VXR!? ah yes. Produce good looking, progressive concept car and then introduce the dull, dull, dull derivative Russian doll production car. Yawn! You want to polarise opinion, BMW? Well, you’ve lost me. You’ve got one of the strongest design legacies in the business - the ‘DNA’, you people call it - and you’ve destroyed it. Chris Bangle was bold and polarising but at least he understood the basic tenets of BMW. The grille has been debased and now the Hoffmeister kink has gone. Please have they sacked the interior people? Will it have the same ugly derivative dash as pretty much every model in the range has now? The DB11 and Continental GT are both 2 door coupes.. This would be competing against the all new Mercedes-AMG GT63 S 4-door, Audi RS7, Porsche Panamera Turbo, and Aston Martin Rapide.